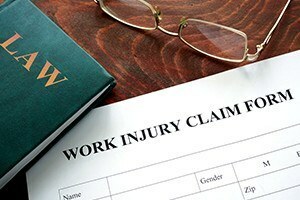 After you have sustained a work-related injury, it is important to understand all of your rights to compensation for medical bills and lost wages. You may question the need for a lawyer or how an attorney could help you through the benefits process. If you have been seriously injured, however, or other complex circumstances exist regarding your accident, it is advisable to obtain knowledgeable legal representation. At the law firm of Pulgini & Norton, LLP, our experienced attorneys have helped injured workers recover benefits for more than 40 years in the Greater Boston area and throughout Massachusetts. We can answer your questions, guide you through the process and help you make an appeal if your original claim for benefits has been denied. If you have questions about workers’ comp in Massachusetts or if you are uncomfortable navigating the process of obtaining benefits by yourself, contact our firm to make an appointment. We offer a free initial consultation to any prospective client who has questions regarding workers’ compensation in Massachusetts. We hope to make the process as easy as possible on our clients. After an injury on the job, contact us to schedule an appointment for an initial consultation and learn more about workers’ comp benefits. You may e-mail our firm here or call one of our three offices in Braintree, Hyde Park or downtown Boston toll free at 781-843-2200.